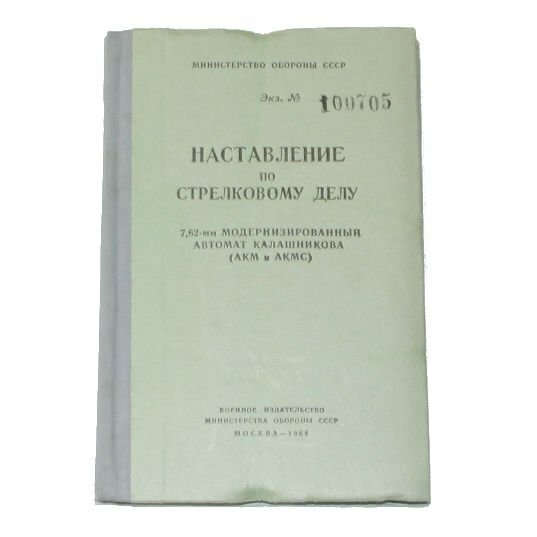 We have a handful of Russian AKM AKMC manuals, 1964 printing or version. These earlier versions where apparently serialized to each weapon. 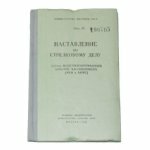 There is a 6 digit serial number ink stamped on the cover of each 1964 manual. 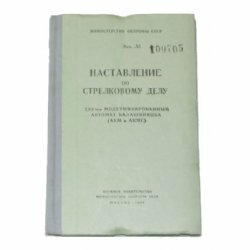 160 pages filled with everything you need to know about the AKM (it is in Russian). Throughout there are quite a few drawings so it can be a valuable addition even for us English speakers; not to mention a great collectable to compliment your AK47 collection. We photographed the worst manual we have so what you see is what you will get....unless you get better!